From palaces to replica stores, luxury miniature houses offer something for everyone with cash to spare. It's not the kind of Christmas gift you'll find in a Black Friday sale. 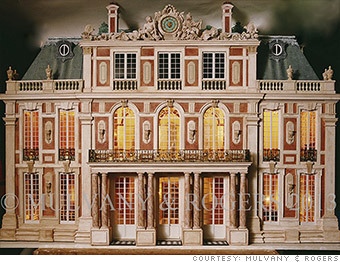 This miniature Palace of Versailles by British firm Mulvany & Rogers would set you back well over £100,000 ($156,875). The hefty price tag is matched by a heavy workload for creator Susie Rogers and partner Kevin Mulvany, who study plans of the palace and visit the site to measure up. Hand painting the bricks can take several weeks.